National Infertility Survival Day is a holiday meant to celebrate and pamper those who have been struggling to conceive. It's not a well-known holiday, but it is very much needed. The day is meant as a Mother's Day alternative. Mother's Day isn't easy for those coping with infertility. It's downright painful. On Mother's Day, the hard work moms put into their families is recognized. But what about the women who are dealing with infertility? They work hard too. Frequently, their struggle is silent and invisible. But now, we have a day of our own — National Infertility Survival Day! The day’s main emphasis is on self-care and celebration for what we do have. It’s also a day for friends and family to make an extra effort to support a loved one with infertility. Just like Mother’s Day, when all the hard work that goes into motherhood is celebrated, on National Infertility Survival Day, we celebrate and honor couples who are desperately trying to become parents. “I hope National Infertility Survival Day will lift their spirits and give them the impetus to celebrate themselves and that which they do have. This is not to negate the very real despair they may be facing. Rather, it’s an opportune time to stop and smell the Chanel, and also to blunt the emotional pummeling that can occur leading up to, on and around Mother’s Day. And it’s also a vehicle through which those close to them can provide meaningful, creative, and fun support." The holiday falls on the first Sunday of the month of May. In 2018, the holiday will be celebrated on May 6th. Scheduled for the weekend before Mother’s Day, the holiday's timing is intentional. It's timed to blunt the sadness and frustration that many women feel as Mother’s Day approaches. Why National Infertility Survival Day? “As lovely as Mother’s Day can be for mothers, it can be extremely painful and disheartening for infertile women,” explains Barna. The holiday is also a chance to turn around and bring something positive to what is normally a difficult condition. Often, we focus our energies and thoughts on what we don’t get or have not received, despite all our efforts. On this day, we honor and celebrate all we have done to try to have a child. Instead of focusing on our losses, we focus on our strengths. Who Should Celebrate National Infertility Survival Day? National Infertility Survival Day isn’t only for the women and couples dealing with infertility now. It is also a day for those who have gone forward in their lives. This is a day just for you. You should celebrate the day however you like! See a movie or a play. Get together with friends, either at home or out of town. 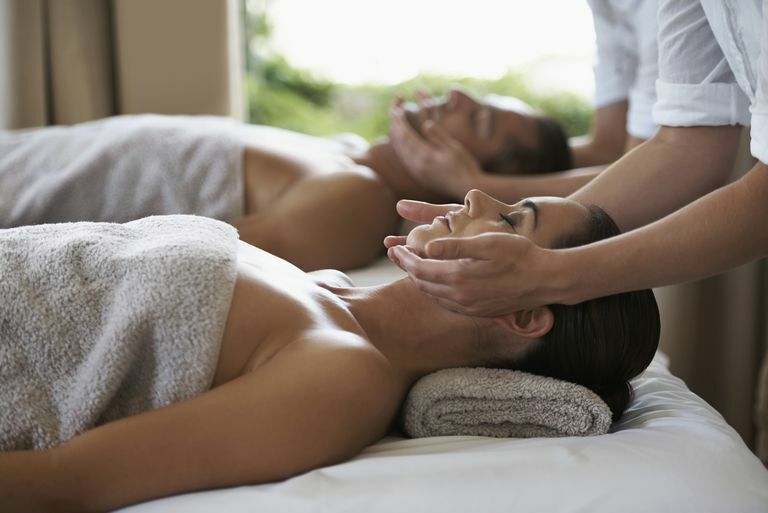 Pamper yourself by visiting a spa, or getting a massage. Take the day for some creativity — messy art, corny poetry, whatever you like! Some women may feel silly celebrating when they feel they have nothing to celebrate. Our society puts so much emphasis on celebrating after we’ve accomplished a goal. It’s not uncommon for women coping with infertility to feel like failures. But you are not a failure. With infertility, your accomplishment is the effort you’ve already put towards becoming a parent. You may not be able to hold these types of accomplishments in your hand, but they are just as real and deserve to be celebrated. For partners, this is a day for a special gift. Something to brighten her spirits. There's no reason, by the way, that you can't celebrate the day together. After all, you're both working hard and facing infertility. Maybe a couple's massage will be the perfect way to spend the day. For family and friends, assuming the couple has let you in on this private area of their lives, anything to bring a smile to their faces is great. Bring over some balloons. Send a funny or uplifting e-card. Sometimes just a phone call letting them know you’re there if they ever want to talk is nice. Whatever you might consider doing for their birthday, those kinds of ideas probably fit for National Infertility Survival Day celebration, too.